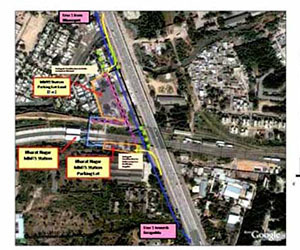 Planned Development around the ORR ( directing new growth) To avoid ribbon development. Grid Iron Circulation Plan / Channelisation of traffic to selected junctions / points on to the ORR for smooth and efficient traffic flow. Prepare the base for an Integrated Urban Infrastructure Plan and Action Plan for implementation. 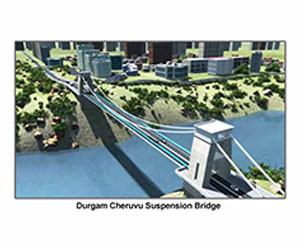 Project Features: A perspective plan for twenty years for a projected population of 2 Million. 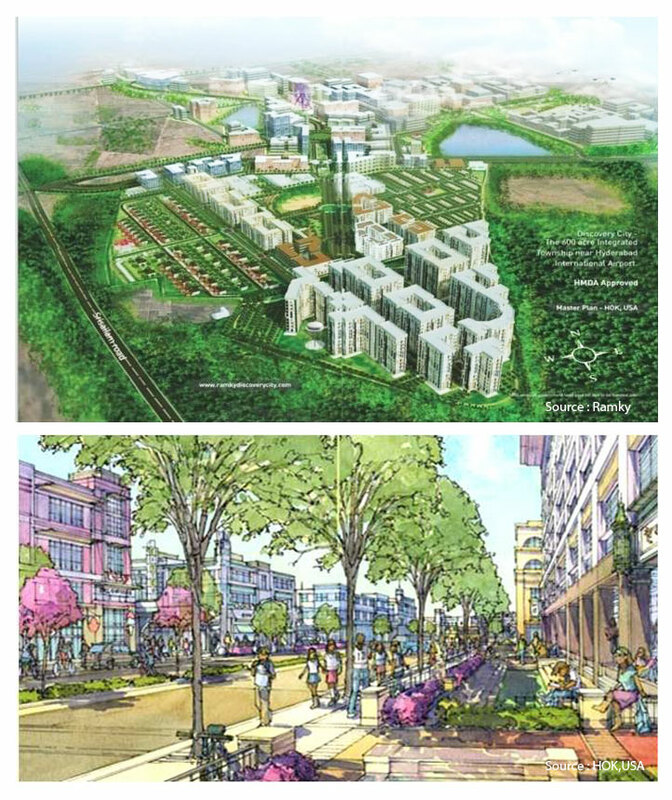 Work involved comprehensive urban planning support for master plan preparation gor a green field city. With the International Aiprort as the major economic hub and development driver. Ensuring connectivity withteh main city of Hyderabad. Planned for future mass transit connectivity. 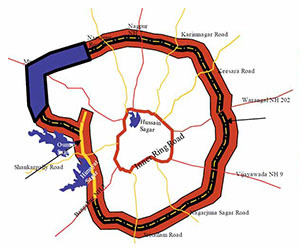 City planning based on grid iron network duly integrating excisting road network adn circulation pattern. Emphasis on conservation of water bodies, lakes, and green spaces. Innovative development control and zoning regulations keeping in view the changing global economy and market economics. Plan is in force since 2008. Airport area already developed and Aerospace hub is a major economic hub. 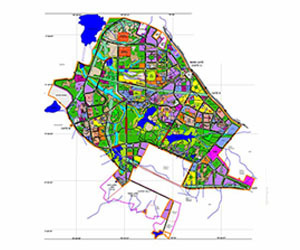 Project Features: The scope of work involved urban planning inputs, urban GIS related baseline data collection and standardization, collation of numerous urban indicators and overall project support services. 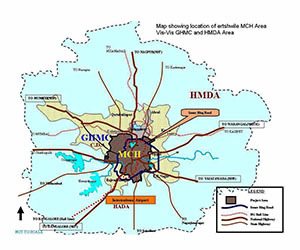 The case study area is Hyderabad Metropolitan Development Authority (HMDA) area. 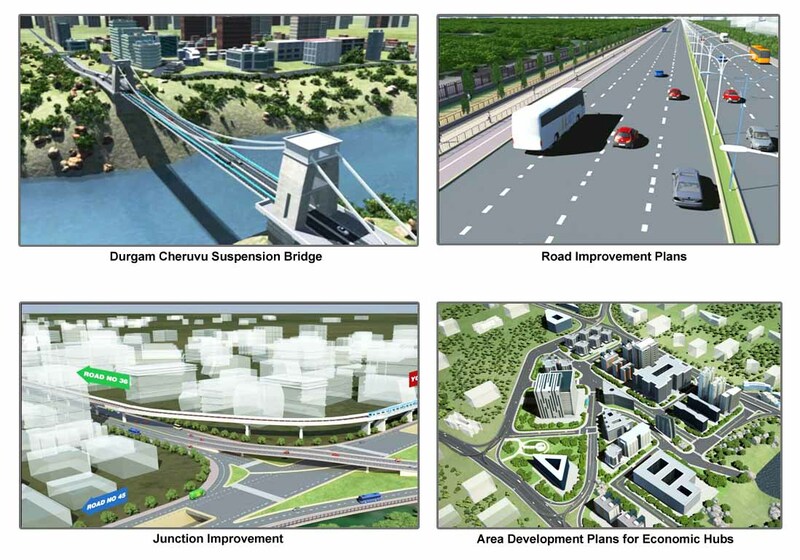 The objective was 'Enabling a climate proof city development into the planning processes for Hyderabad'. All outputs submitted to Hyderabad Metro Rail. Work awarded to L&T Metro Rail and implementation did. 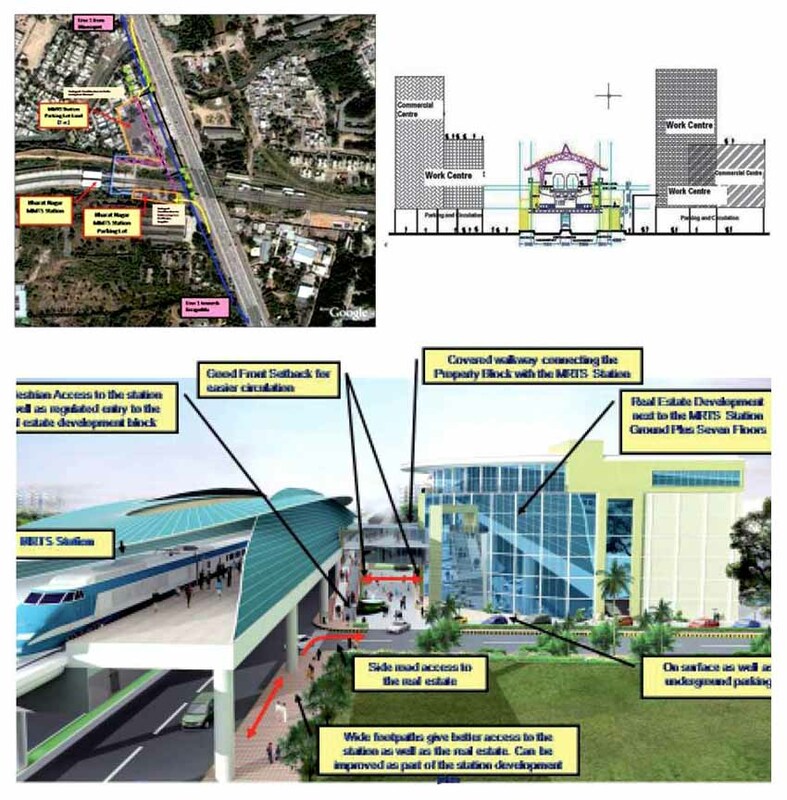 Metro Rail is operational and Real Estate Development projects already functional along stations. 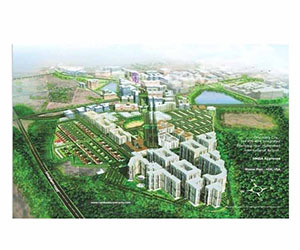 Emphasis on carving out an ecological conservation (or biodiversity) zone within the campus. Integrates pedestrian, bicycles and vehicular access to different activity/functional areas of the University campus, future guidance on utilities and amenities, macro level landscape treatment, framework for implementation including phasing and action plans and planning and development guidelines. 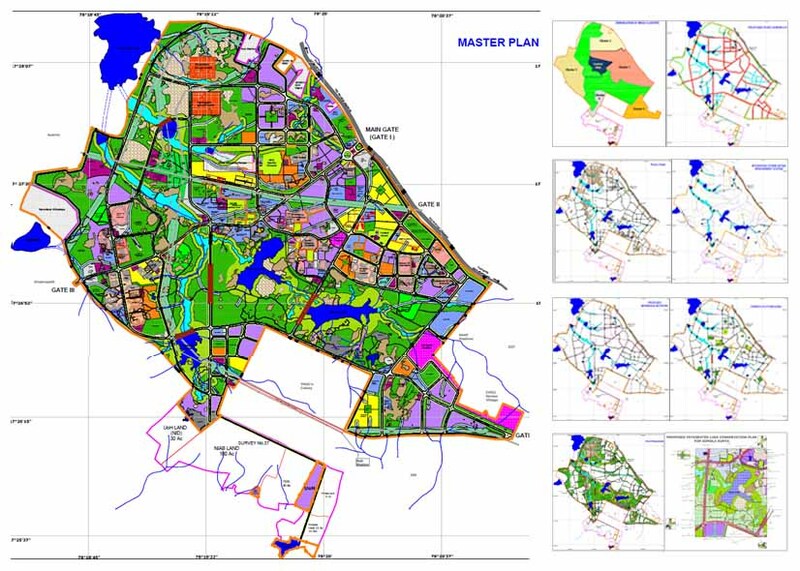 Evaluation of the Master Plan submitted by Developer. 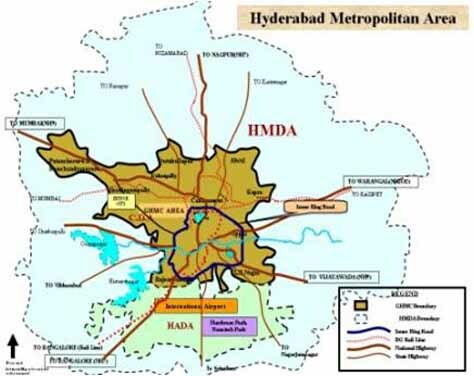 Preparation of development guidelines and parameters - proposing the development Mix, Physical and Social Infrastructure Requirements, and Land use Pattern for the Modern Age / Futuristic / Large Integrated Townships in Hyderabad. 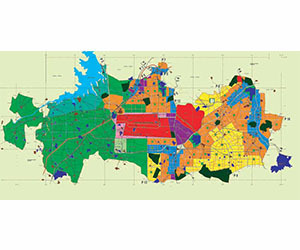 Integration with overall urban development policy and Master Plan framework. Integration with the local Statutory Master Plan, regulations and related issues. 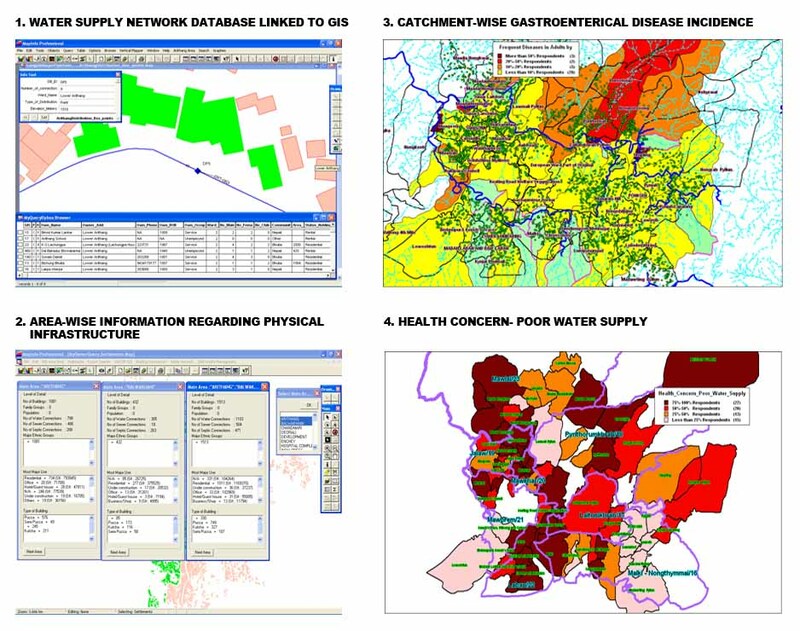 Project Features: Provided technical inputs as Urban GIS Experts on socio economic analysis, strategic planning. 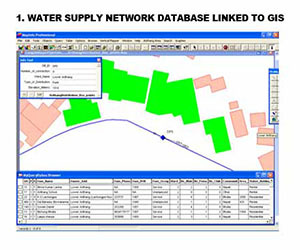 Specific tasks involved planning support, data analysis, GIS Applications advice, general project support and special support to Team Leader. 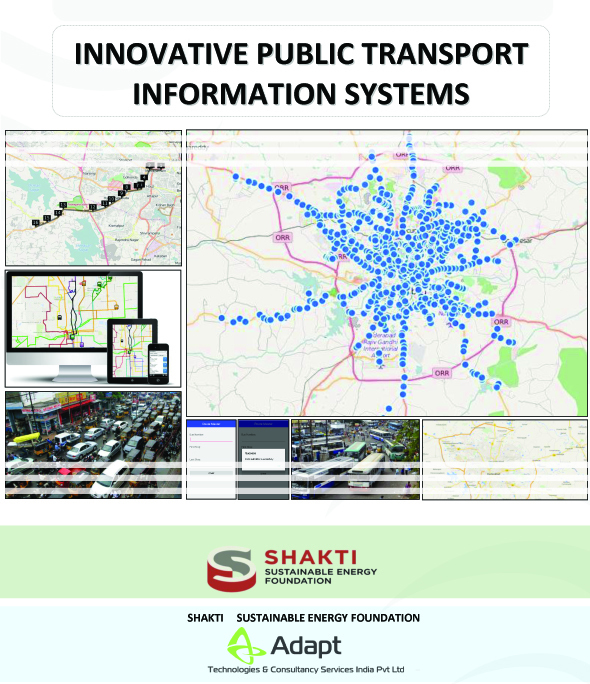 Project Features: Develop a mobile application to crowd-source data collection on bus operations, bus routes, and time tables in Hyderabad. Worked in coordination with a Hyderabad based organisation/foundation/NGO. 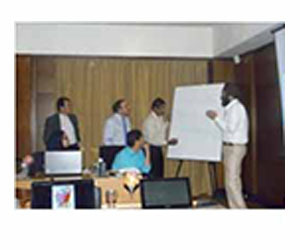 The general methodology developed to undertake this exercise has been structured in a generic manner and can be replicated for any other city in India.The thrust areas identified which need to be addressed for future and bringing in data efficiency with a focus on -open transit data, developing an app for real time data, creation of authenticated static maps, creating infrastructure for real time tracking, developing multimodal public transit information systems. An important result is the achievement replicability of the app and dashboard. 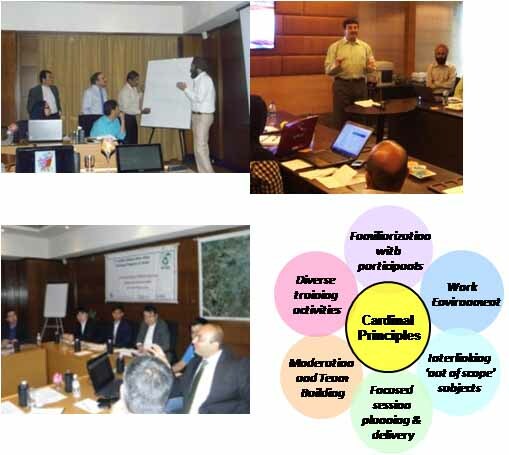 Focus of the training programme : Practical knowledge and interactive discussion.